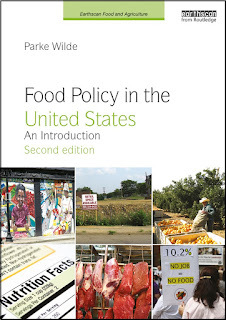 U.S. Food Policy: Why would anybody want to split the Farm Bill? 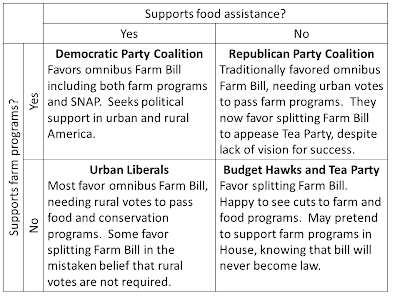 The Farm Bill traditionally is "omnibus" legislation, including an array of farm programs and nutrition assistance programs. The largest Farm Bill program -- and the largest USDA program -- is the Supplemental Nutrition Assistance Program (SNAP), also known as food stamps. 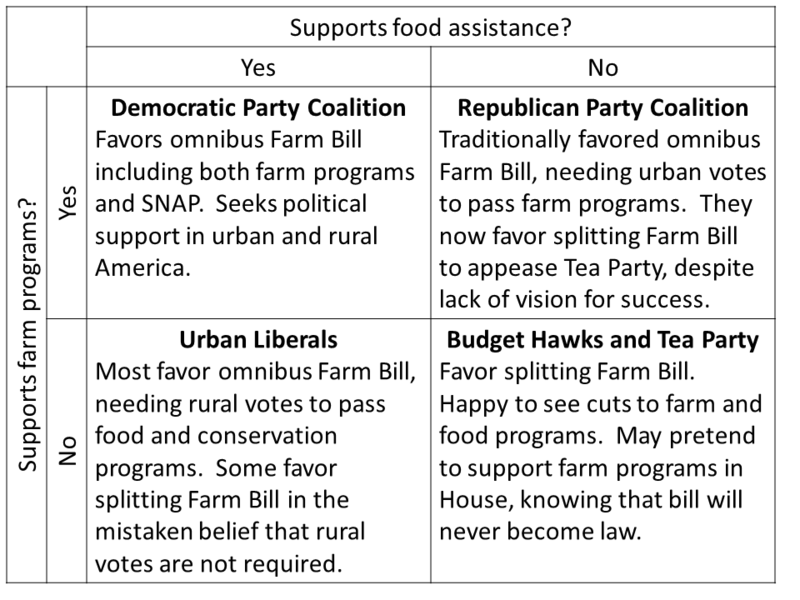 The House of Representatives yesterday voted for a stand-alone Farm Bill with no food stamps. Why on earth would they want to do that? To make sense of this, one needs to look beyond traditional Democratic/Republican partisan politics and instead think about a four-way political cross-tabulation.